All great endeavors begin with a vision. Our journey began with a trip down memory lane. 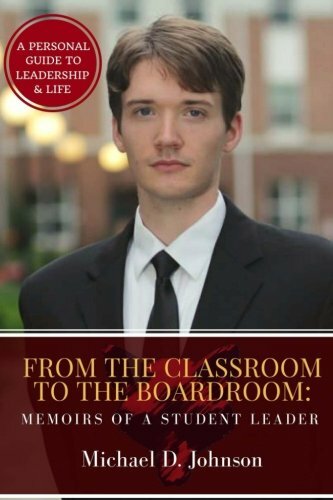 In the summer of 2016, MSL Co-Founder Michael D. Johnson set out to compile his collegiate experience and the lessons he collected as a rising member of the Marist College student government association into a resource for young adults from all walks of life. In light of the instructive yet deeply personal nature of the work, he settled on a title for the project that had stuck with him since his days on campus: Memoirs of a Student Leader. With it, he hoped to draw attention to the student leader perspective, illustrating that even the smallest of voices can have a profound impact on the narratives that shape our lives. Memoirs of a Student Leader ("MSL") quickly became the working title for the associated projects that branched off from Johnon's writing, including the media platform he developed with his friend and fellow Marist Alumni, MSL Co-Founder Brittany M. MacLeod. Together with MacLeod's marketing and networking expertise, the duo cultivated a blogging platform that connected readers and guest authors from around the globe to a singular mission: Shaping the World Through Shared Stories. In time, that focus helped MSL to evolve; the blog shed the more academic "Memoirs" title in late 2017 to adopt a broader identity as simply "MSL", a platform devoted to sharing the life lessons and common experiences nestled in the stories of young adults and reflecting on the larger movements they've helped to foster. Today, "Memoirs of a Student Leader" encompasses the individual works of Michael D. Johnson and the activities that have stemmed from his literary debut. Over the course of his four years at Marist College, Michael D. Johnson did more than find his place in the school’s social structure. Through his experiences in student government, he was shaped as a person in ways that continue to affect his postgrad career. Eager to shed his identity as a shy high school senior from New Jersey, Michael arrived at college ready for transformation. He set his sights on the highest office possible: student body president. His personal storytelling delves into the emotional and rewarding pursuit and explores how he became a student leader. Though the events took place in the microcosm of a college campus, the lessons he learned proved valuable in later business experiences. Today Michael serves on the board of education in his hometown, a position he never would have considered without those critical college experiences. 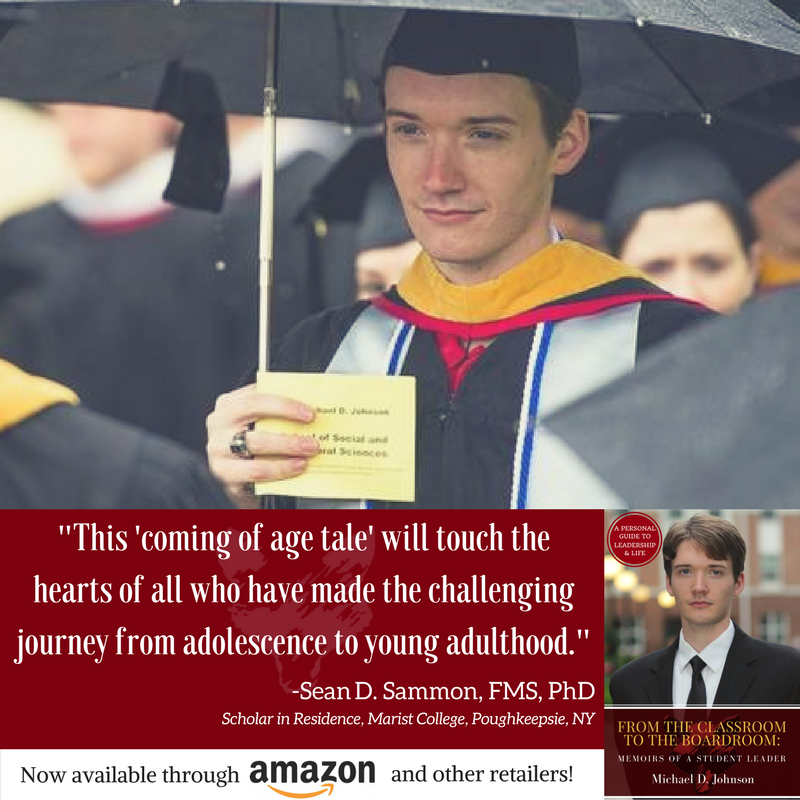 This profound memoir looks at the early years of leadership from a rare perspective—the fresh memories forged through the trials of student leadership—to guide others through the process of managing their own life stories by developing their leadership profiles. Johnson invites you to share in his story and begin your own leadership journey today! Tune in for reflections and insights from Johnson's leadership journey and career, as he continues to apply the valuable life lessons garnered through his collegiate service to his multiple volunteer roles.